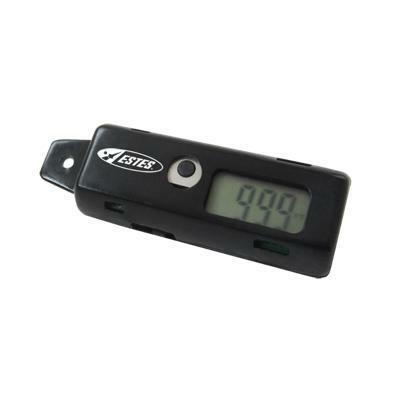 The Estes Altimeter has a 4 digit LCD read out and displays in English or metric units. Accurately measures model rocket launch altitudes from 0 - 9999 feet (0 - 3000 m) and can store up to 10 consecutive flights! 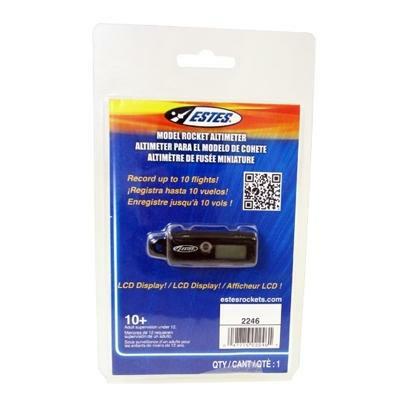 Includes replaceable alkaline battery. Comes fully assembled. Will fit in rockets with a T-50 size tube or larger.